Mention chiropractic newsletters to veteran chiropractors and you’ll get a knowing nod: they work. But, chiropractic newsletters can be a lot of work to produce. That’s why many have abandoned this sure-fire chiropractic marketing tool. But not if you have the Perfect Patients website service! A monthly chiropractic newsletter is a professional “ping” that keeps your practice top-of-mind while educating patients and enhancing referrals. 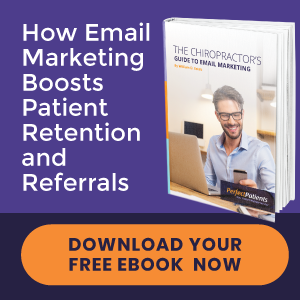 In our annual client survey, our monthly chiropractic newsletter consistently ranks among the most popular features of our Perfect Patients new patient website service. Preview the most recent issues here. Obviously, when you outsource this important point of contact with patients, there is a tremendous savings. No staff time. No postage expenses. No distractions. Plus, when you secure the Perfect Patients website service you also get a printable PDF version of our chiropractic newsletters that you can distribute by mail or provide at the front desk. For what you’d pay for a monthly printed chiropractic newsletter, you can get a Perfect Patients website and a printed newsletter! 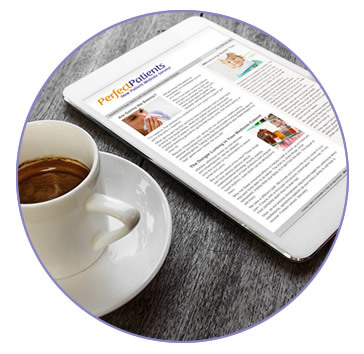 Put the world class Perfect Patients monthly eNewsletter to work in your practice today. Choose the Service Plan that matches your new patient goals and submit our simple form to find out which of the three plans is right for you!